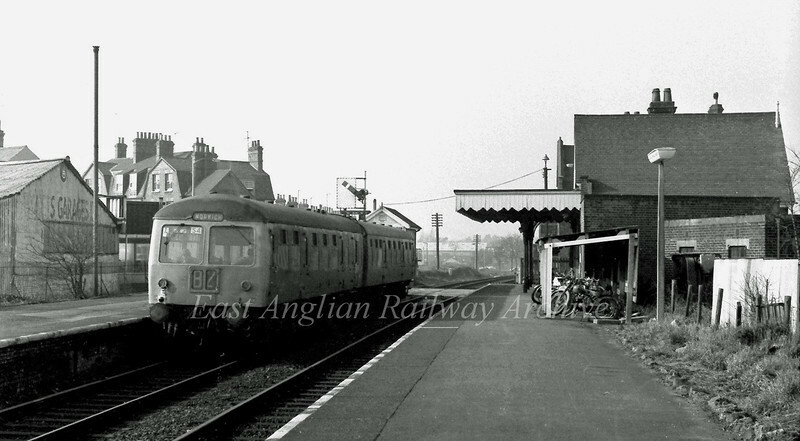 Oulton Broad North on 20th February 1976. The Cravens unit is forming the 1115 Lowestoft to Norwich. Little has changed here to the present day, but the George Borrow pub above the unit no longer serves ale.